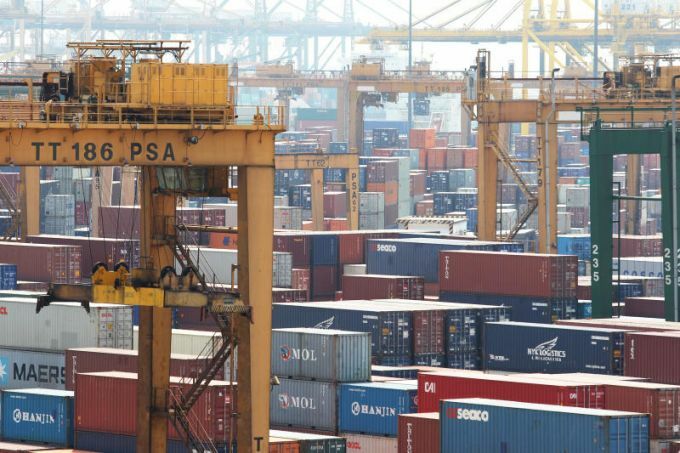 SINGAPORE’S exports defied economist expectations to post an unexpected decline last month. Non-oil domestic exports (NODX) shrank 5.9 per cent in February from the same month a year earlier. This was the first decline since September last year and was likely due in part to the Chinese New Year, which started on Feb 16. The latest number disappointed economists who were expecting a 4.8 per cent expansion, and was also much weaker than January’s 12.9 per cent rise. Both electronics and non-electronics shipments declined in February. Electronic NODX declined by 12.3 per cent in February, following a 3.9 per cent decrease in the previous month. Meanwhile, non-electronic NODX slid 3.4 per cent in February after a 20.7 per cent surge in the previous month. NODX to majority of Singapore’s top markets decreased in February, except the United States, Japan and South Korea. The decline was led by China, the European Union and Taiwan. Non-oil re-exports – often seen as a proxy for wholesale trade services – registered a flat performance in February after growing 5 per cent the preceding month. This came as higher shipments of non-electronic re-exports outweighed the decrease in electronics.